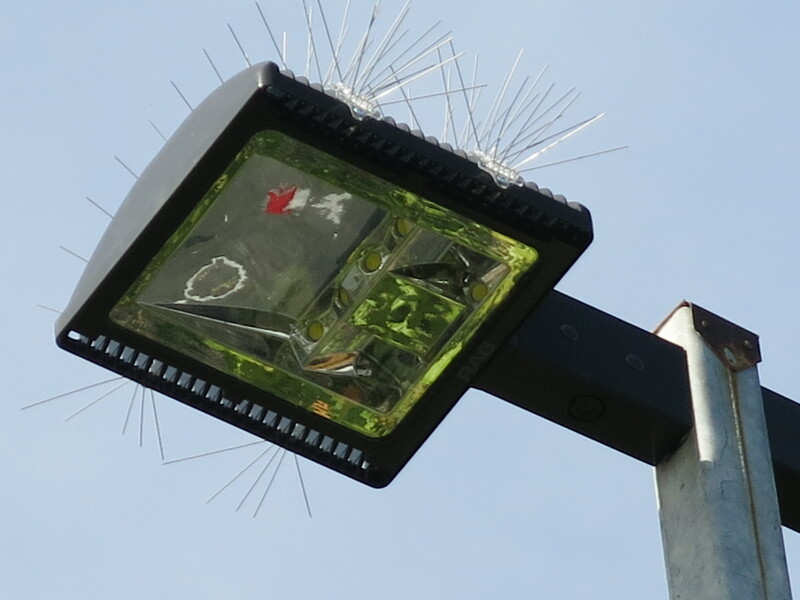 Two parking lots along 41st Avenue adopted LED lighting within the past two months bringing the total of LED parking lot lights to 34 out of a total of approximately 550 lights. This brings the penetration to 6.1%. The number of LED lights slightly more than doubled since last year. 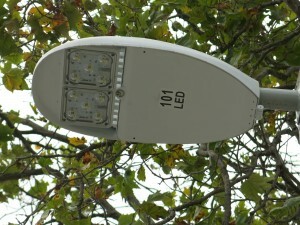 The lights all look good, are using less electricity, and are costing the owners less to operate. 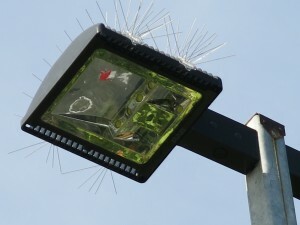 This is one of the 18 lights installed at the Kings Plaza shopping center on the corner of 41st Avenue and Capitola road. A more detailed write up of the Kings Plaza lights will be posted on this site soon. Below is one of the 3 lights installed at the Coast service station at 41st Avenue. Several organizations offer assistance in understanding LED Parking Lot specifications and deployment. The U.S. Department of Energy with the Better Building Alliance at www4.eere.energy.gov has specifications, payback calculators, incentives, demonstration results and links to other helpful sites including the CALiPER Snapshot on Outdoor Area Lighting. In addition to those practical tools the lighting vendors are bringing out new offerings giving the users a lot of good choices. 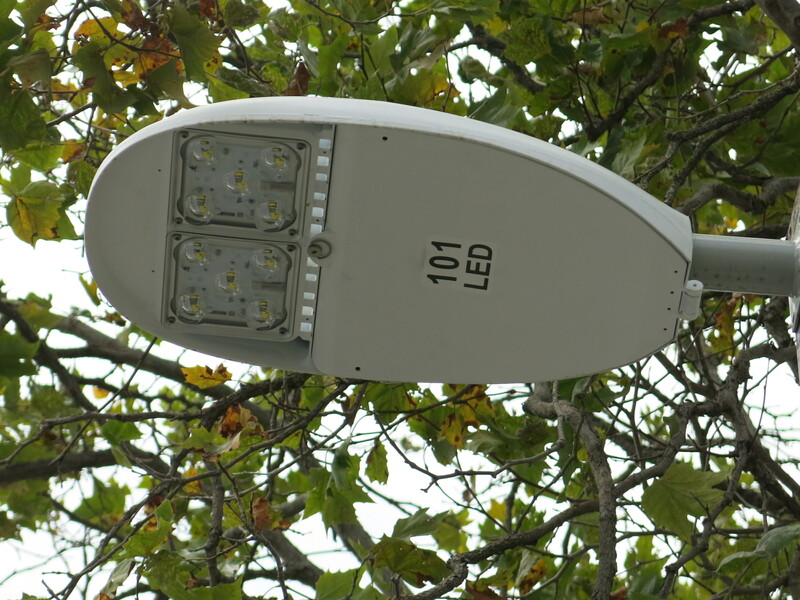 LED parking lot lights from at least six different vendors are now installed throughout Santa Cruz county. The Kings Plaza write up is a description of how one vendors lights are deployed.